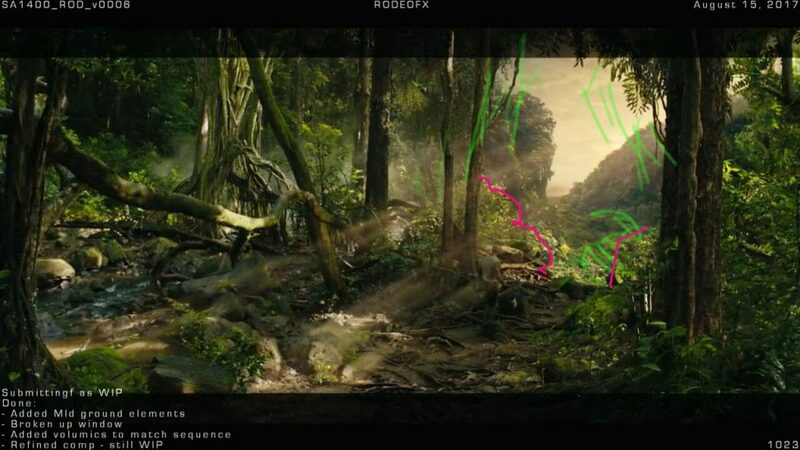 How cineSync combined with Shotgun to become the "backbone of the production pipeline"
Comprised of over 1,100 VFX shots, Jumanji: Welcome to the Jungle is a sprawling adventure through a wilderness of CG environments, deadly creatures, and impressive digital doubles – and all of it was reviewed through cineSync’s deep integration with production tracking platform Shotgun. 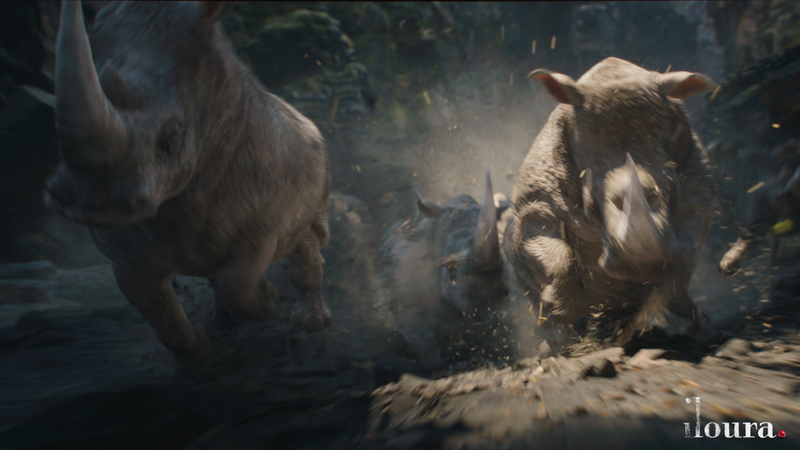 We sat down with Jerome Chen, VFX Supervisor for Sony Imageworks and the Overall VFX Supervisor on Jumanji, to tour through the production processes that powered this epic standalone sequel. When the original Jumanji charged to cinematic success – grossing over $260m in 1995 – visual effects remained in their infancy. But a great deal has changed between then and now. Jumanji: Welcome to the Jungle doesn’t bring the game’s wild environments to the player, but instead plunges the player into an all-new lush, organic world. Kevin Hart, Jack Black, Karen Gillan and, of course, The Rock himself, awaken below the canopy of Jumanji’s primeval verdure. It’s a sight to behold. Sony Imageworks’ VFX bring life to a bestiary of oversized creatures and gorgeous but perilous environments. This is as close to Jumanji as the viewer can get. Jerome Chen has said in previous interviews that he relies on the the combination of Shotgun and cineSync as “the backbone of my production pipeline”. So how did that work on Jumanji? “I was on the project from pre-production, through practical photography on location and until the very last day of post-production,” begins Chen. To meet a massive shot tally, while maintaining quality and respect for the original’s groundbreaking visuals, several hand-picked vendors were brought on board from around the globe. With activities primarily based in Australia and Canada, successful remote collaboration was vital – and that collaboration took place across cineSync sessions. First and foremost, facilities were cast with an eye towards their specialities and quality of past work. Given their previous efforts on The Legend of Tarzan, Rodeo FX was brought on board to create many of Jumanji’s larger-than-life beasts; including hippos, crocodiles, tarantulas, scorpions and centipedes. 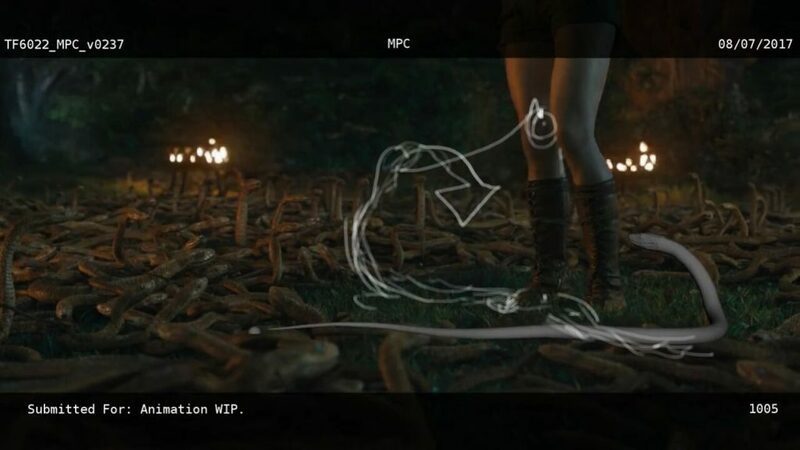 MPC was also added to the team, having ably demonstrated its environment ability in The Jungle Book, along with its knack for photorealistic CG animals. 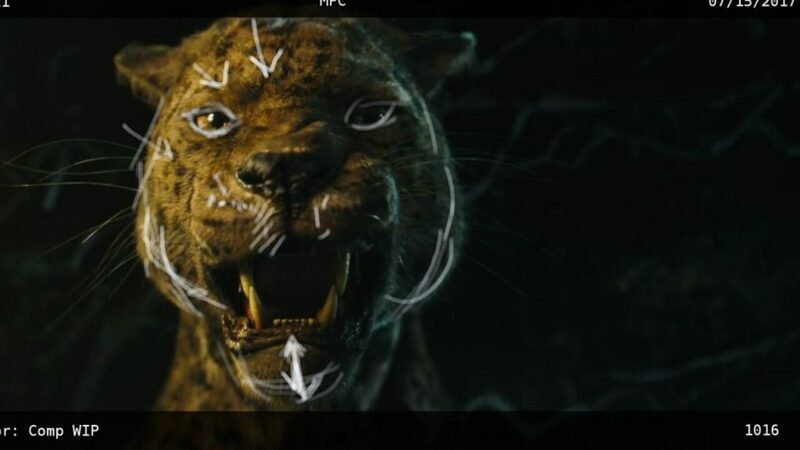 In the case of Jumanji, the studio applied this skill set to an elephant and several jaguars. For Chen, cineSync was like a machete, helping him to cut through the tangle of reviews on a daily basis and clear a path through the production’s undergrowth. One such shot pays homage to the original Jumanji, but with a modern VFX upgrade. The 1995 film sees Alan Parrish sucked into the titular board game in the film’s opening sequence, his hands and face contorted as he’s pulled into a swirling portal to the dark jungle beyond. Chen and team worked to create a similar effect using augmented technology: “Our version uses particle simulations and fluid dynamics to contort the characters,” he explains. “This gives a sense of volume to the humans as they are disassembled and absorbed into the video game console, which replaces the board game in this version. Another challenging shot saw Karen Gillan’s character compress into a ball of flesh and explode – one of the film’s many outrageous death scenes that occur when the protagonists use up their game lives. Another key vendor on Jumanji: Welcome to the Jungle was Australia’s prolific VFX studio Iloura, who were selected for their stunning environment work in the chaotic Mad Max: Fury Road and across Game of Thrones’ Westeros. Iloura brought all of its experience to bear on one of the Jumanji’s most challenging sequences: the ‘Rhino Helicopter’ chase. On stage, the green screen shoot was relatively simple, involving five actors sitting inside a gimbal-mounted Huey helicopter. 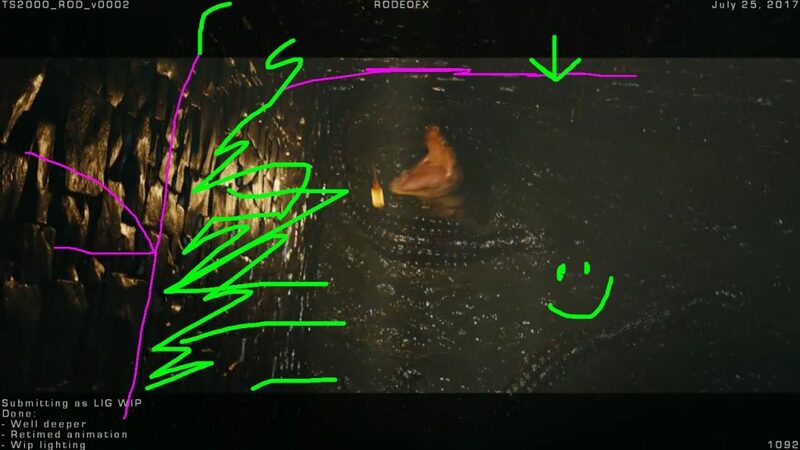 However, its post-production process was one of the film’s most iteration heavy, requiring the CG creation of an exterior canyon environment and a stampeding horde of jostling ungulates. 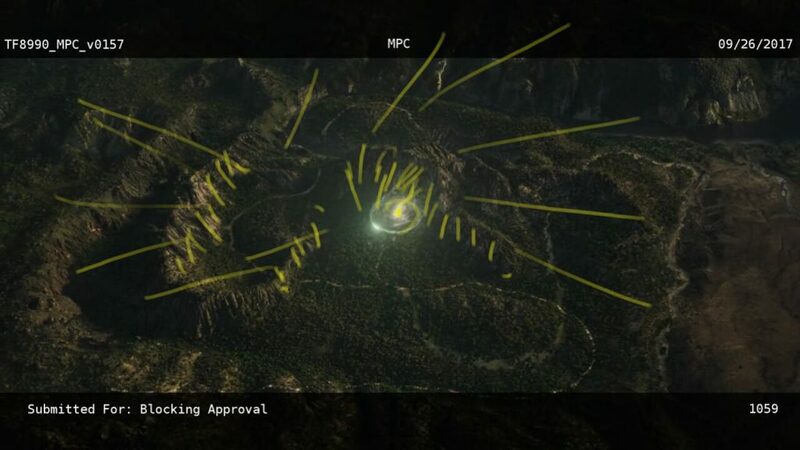 cineSync’s drawing and annotation tools proved vital here, largely with regards to matching the environment’s CG lighting to the on-set stage. “I rely heavily on annotations as a way of communicating to artists, especially when it comes to discussing something disembodied and intangible like lighting,” says Chen. 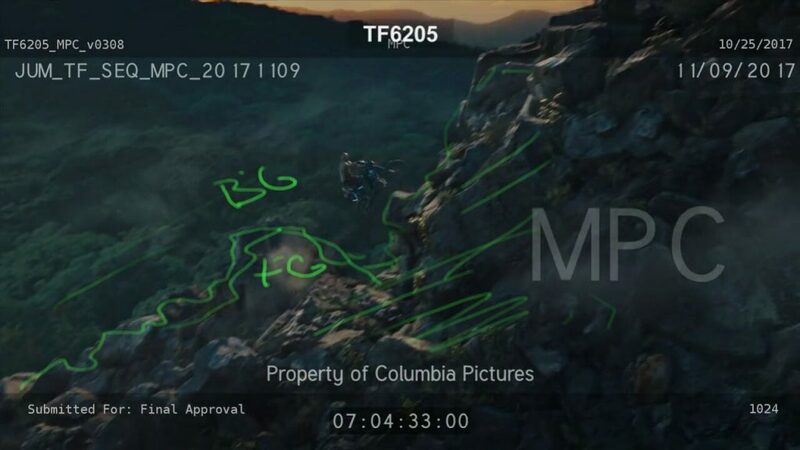 With Shotgun and cineSync comprising the backbone of Jumanji: Welcome to the Jungle’s production workflow, Chen and his team of global vendors were well positioned to work as a single unit. From the simplest of shots to the most challenging – which would often feature a complex choreography of CG animals, elaborate simulations, and extensive environment work – this core integration truly tamed the jungle.